After more than a century of scrambling each summer to put out fires in Washington state, the push to light them in the fall and spring represents a profound change in the strategy to prevent wildfires. The flames never made it to town. People stayed put, but many now live with a new sense of vulnerability. “This was a game changer for us,” said Martin, a Roslyn volunteer firefighter who handed out the evacuation notices. This month, on a crisp fall day, Martin once again was trying to protect the town. But this time, instead of warning of a fire, he joined 30 other men and women in setting fire to 32 ridge-top acres he owns above Roslyn. This burn is intended to consume downed wood, brush and low-lying limbs, helping create a defensible space where firefighters could make a stand should there be another threatening summer blaze. In the more arid ponderosa-pine forests of Central and Eastern Washington, these controlled burns have emerged as a key tactic in protecting communities from wildfires, which are expected to torch more acreage as climate change — spurred by greenhouse-gas pollution from fossil fuels — warms the region. After more than a century of scrambling each summer to put out fires, the push to light them in the fall and spring represents a profound change. U.S. Forest Service officials are eager to expand these cool-season burns on federal lands, where they have been carried out in combination with thinning accomplished with chain saws and mechanical brush cutters. This work is no cure-all for the smoke that blanketed the Puget Sound region in August. But Forest Service officials say it could help Northwest firefighters gain better control of summer blazes, and do so from safer spaces. Their enthusiasm is boosted by fresh reports from the wildfire front lines. On Aug. 11, crews say some Chelan County homes along the Entiat River were spared when the fast-moving Cougar Creek fire slowed and weakened after hitting forest that had been previously thinned and burned. 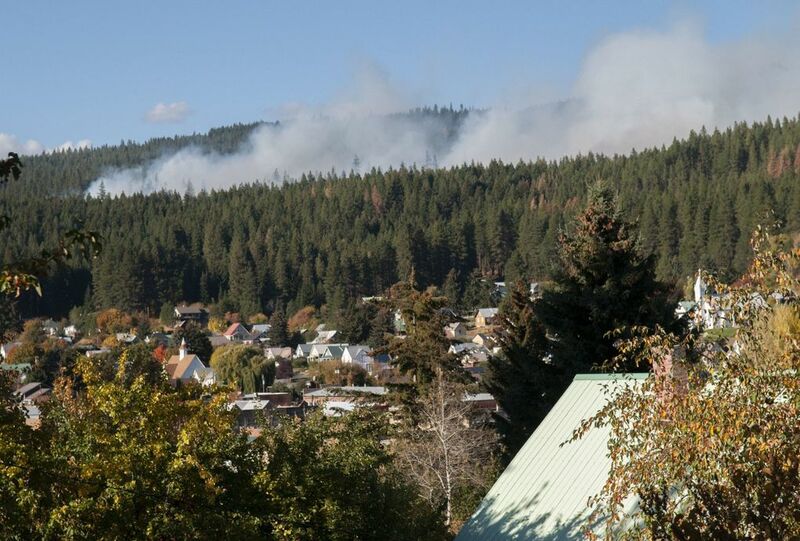 Five days later, other crews deployed to an area 11 miles north of Winthrop — where earlier efforts had reduced the forest-fuel load — blocked the rapid advance of the McLeod fire. 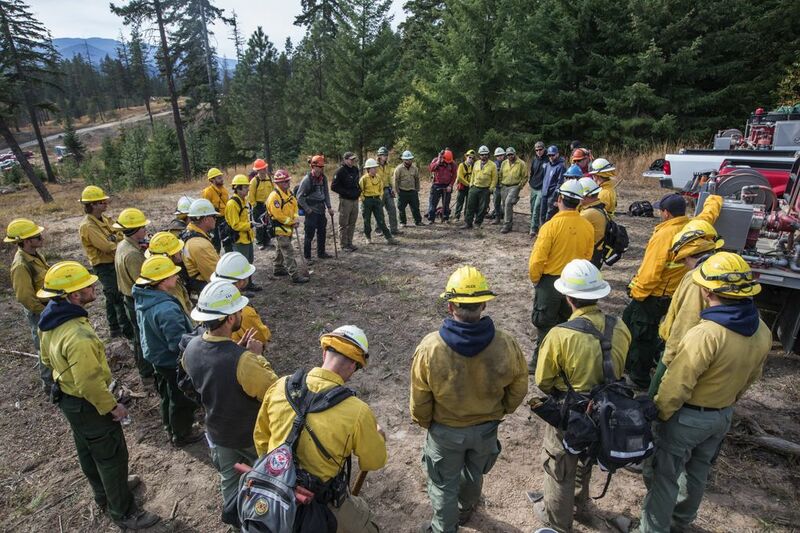 “Once the flame length drops down from 100 to 200 feet to 3 or 4 feet, then we can do something about that,” said Rob Allen, fire staff officer with the Okanogan-Wenatchee National Forest. There also is new momentum for these burns in Olympia. Washington Public Lands Commissioner Hilary Franz, elected in 2016, is pushing to launch, as early as next year, controlled burns on state Department of Natural Resources (DNR) lands, where forest managers for years have balked at such actions. Franz also is trying to ease long-standing regulatory hurdles within DNR. The agency, in consultation with the Department of Ecology, approves permits to burn on federal, state and private land, but often turns them down out of concern about smoke pollution reaching communities. 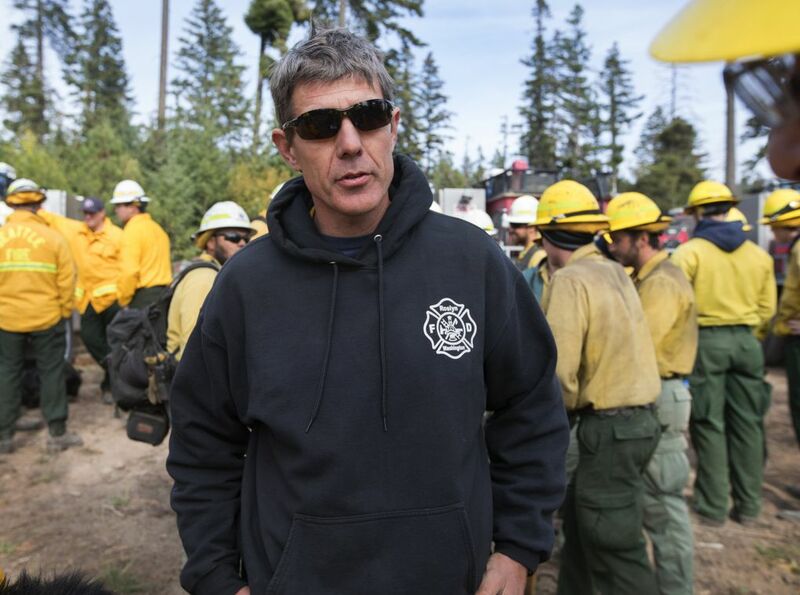 “I’m a big supporter of prescribed fire. It’s absolutely essential,” Franz said. Some local governments also want to get involved. 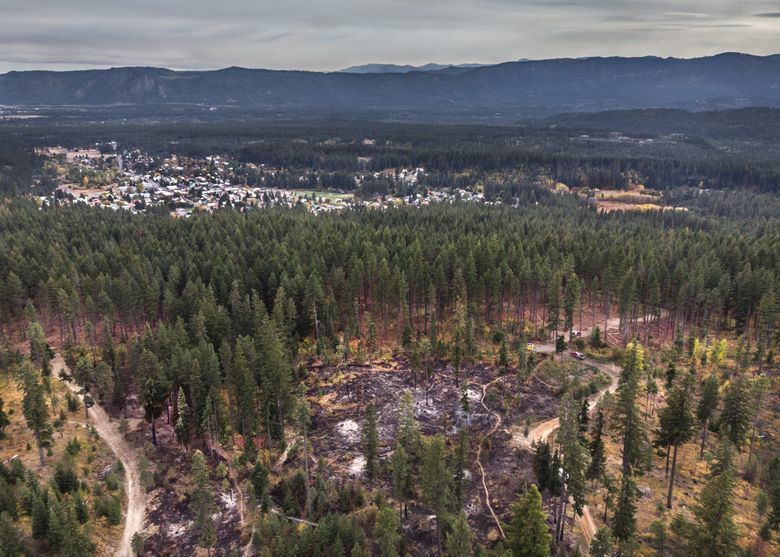 In Roslyn, in the aftermath of the Jolly Mountain fire, the City Council approved thinning a 300-acre municipal forest right at the edge of town, and plans to follow up with burns. “I believe that Roslyn is more than willing to put up with some smoke to make sure it is safer,” said Roslyn Mayor Brent Hals. The best way to learn the skills for these burns is through hands-on experience. Over the past decade, The Nature Conservancy, in a cooperative program with federal agencies, has launched training sessions on grasslands and forests around the country, including two during the last two years in Washington state that also have involved DNR and the Washington Prescribed Fire Council. The men and women who gathered in Roslyn came from Washington and three other western states as well as British Columbia, where wildfires this year flared on more than 3 million acres, generating much of the smoke that drifted south into Northwest communities in August. 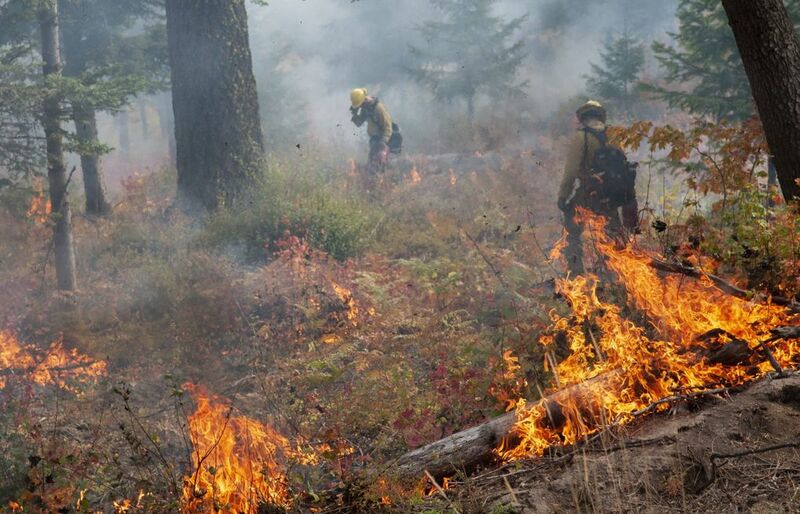 In the Pacific Northwest, these burns taken place in lower- to mid-elevation forests east of the Cascade crest where frequent, but relatively low-intensity fires historically occurred every five to 30 years. That’s a big contrast to the much less frequent fire intervals — often a century or more — in the wetter forests of Western Washington. In the dry-side forests, these wildfires helped to clear out the forest floor while sparing many of the bigger trees, such as the ponderosa pine, that evolved with thick bark that enable them to withstand more heat. Some of these fires were started by lightning. Northwest tribes also set them, in part, to promote the growth of grasses and other shrubs favored by wildlife. But in the 20th century, fire suppression enabled big buildups of brush and small trees that serve as ladder fuels. All this wood makes fast-moving flames harder to contain. “Our people used fire as a management tool to improve forest health … when the forest began to be managed by the federal government, those traditional ways were stopped,” said Rodney Cawston, of the Confederated Tribes of the Colville Reservation, last week in Tumwater where he joined Franz in asking for more money to fight fires and restore forests. A state plan calls for thinning and prescribed burns during the next 20 years on some 1.25 million acres in Eastern Washington, which would require a greatly expanded effort likely costing hundreds of million dollars. Franz last week asked the Legislature to approve more than $17 million to finance forest restoration for the two-year period beginning July 1, 2019. Another source of money for prescribed burns could be Initiative 1631, which calls for a carbon fee on fossil fuels. If voters approve the ballot measure next month, some of the revenue would be invested in forest health. The money available through the initiative, “is much greater than what the state has been allocating,” said Mo McBroom, of The Nature Conservancy, which was involved in the drafting of the ballot measure, and with $1.2 million in cash and in-kind contributions, also ranks as the biggest financial backer to date. Even if plenty of dollars are available, pulling off large-scale burns is no sure thing. Prescribed fires have relatively narrow weather windows in the spring and fall when they can be carried out safely and effectively. When it’s too warm or too windy, the risks are too great for an out-of-control blaze. Such incidents are rare, but can be disastrous. Back in 2000, a National Park Service-prescribed fire in New Mexico, intended to burn 900 acres, whipped out of control, scorching 40,000 acres and destroying hundreds of homes. When it is too moist, they don’t generate enough heat to get the job done. So even if a crew is ready to go, the burn may have to be called off. 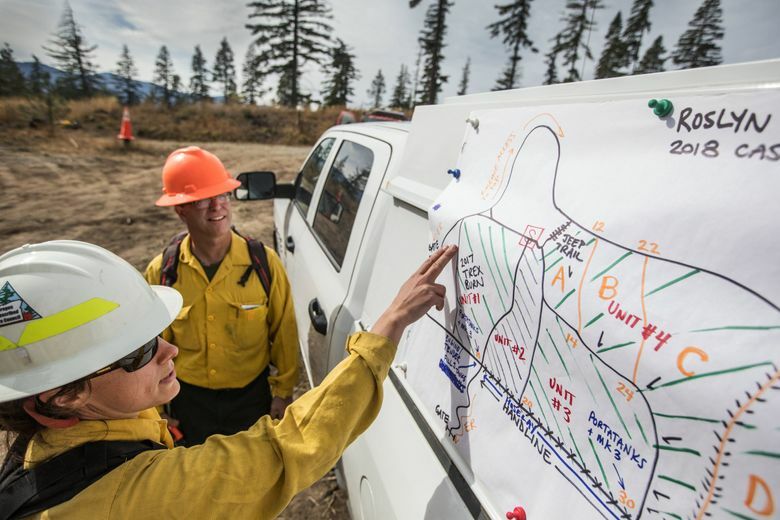 The challenges were evident during the Roslyn training, where crews focused on parts of a 160-acre tract that Martin acquired to conserve from development. On the evening of Oct. 2, it rained. The next day, after the crews waited around for hours, the burn boss concluded the forest was still wet. So the burn was called off. On two earlier scheduled training days, the land was dry. But state officials limited the burns to no more than 8 acres due to concerns about the smoke pollution. On Oct. 4, the crew finally got a green light from the state for a full-scale effort on a day with plenty of sunshine. The job began in late morning and lasted until after dark. Martin joined the men and women walking through the brush. They spread the flames with the aid of drip torches fueled by a mix of gasoline and diesel. The fire, for the most part, moved slowly, leaving behind charred earth and smoking stumps of old trees logged many decades ago.